It’s confirmed that Comedian Michael Parise will be performing with Andrew Dice Clay at the Wellmont Theater in Montclair New Jersey on March 5th., 2017. The two will be hitting Montclair right after the 3 days at the Paramount Theater in Huntington, LI., NY. 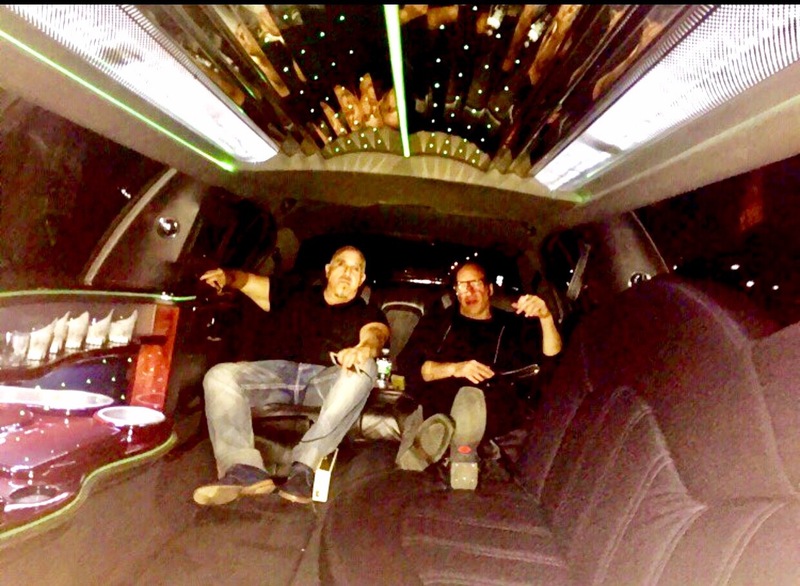 Michael Parise is long time friend of Andrew Dice Clay since the early days back in Brooklyn NY. Michael went by the name “Wheels” for 30 years and toured extensively with Dice back on the 90’s. Parise is also featured in the Showtime Comedy Special “The Blue Show” and also guest stars in the Showtime series “Dice” as Wheels owner of the Chicken Shack. Make sure and catch this show if you are in New Jersey! For more info and ticket purchase click this link! Buy Now! Parise back at the Paramount in LI, NY. March 1-3 2017 with the Diceman. Michael Parise is back at the Paramount opening for long time best friend and undisputed comedy king, Andrew Dice Clay on March 1 through the 3rd 2017. Parise started touring with Dice and opening for him nationally on the arena tour back in 1989. 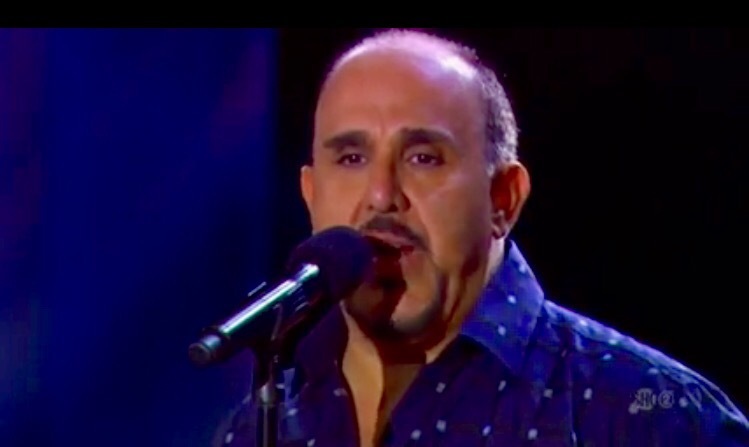 In 1993 under the stage name “Wheels”, he did the “No Apologies” special at Westbury Music Fair which was televised on pay Per View, Wheels ended up with a standing ovation in front to 5000 people that night and that was the night he became a headliner in his own right. Parise has worked with Rodney Dangerfield in the movie “Meet Wally Sparks”, The Movie, “A Low Down Dirty Shame” with Keenan Ivory Wayans, Jada Pinkett Smith, Costarred in the movie “Back to Back” with Michael Rooker and Bobcat Goldthwait and was featured in the movie “Chasing Destiny” with Lauren Graham and Christopher Lloyd… and the list goes on. Michael Parise also costarred as himself on the Reality Show, “Dice Undisputed” on VH1 in 2009. Parise is not shy when he decides to tell you what’s on his mind and he does it with enough grace and poise that you cannot help getting sucked into his comedy mind. You can also see Parise starring in the Showtime comedy special. The Blue Show currently airing. 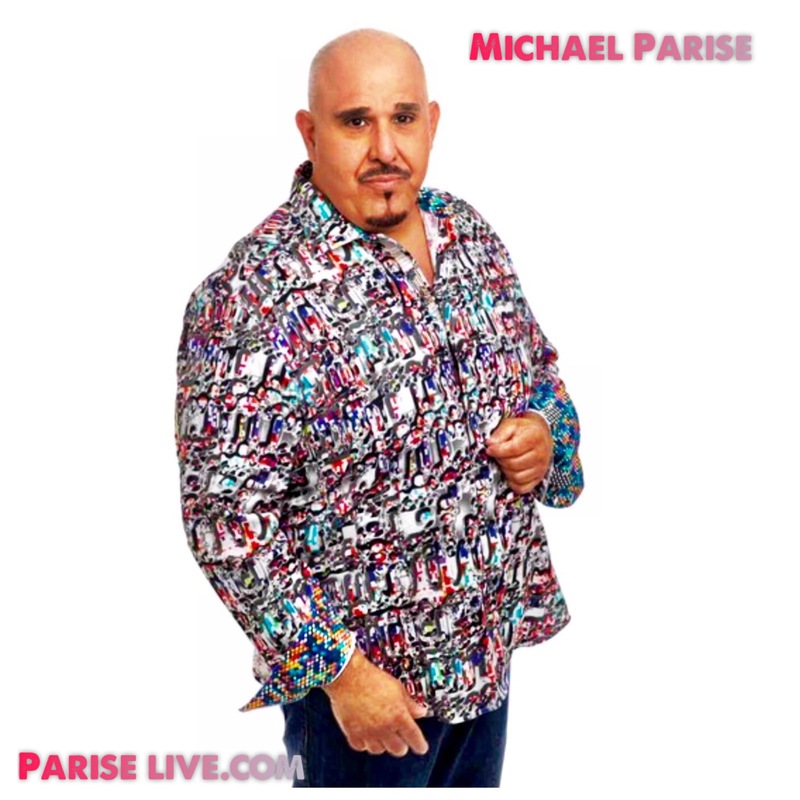 Comedian Michael Parise Live in Sacramento, CA. May 12 thu 14th. with Mike Marino. *Double Headliner Show*! Michael Parise Comes to RENO, NV. at the Laugh Factory at the Silver Legacy Casino. 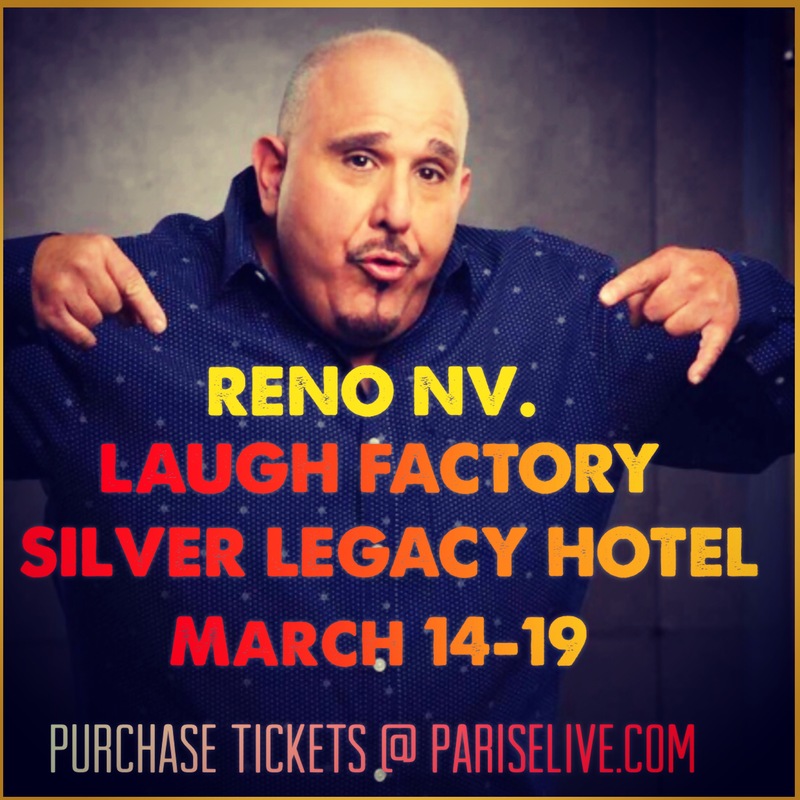 Actor, Comedian Michael Parise headlines the Laugh Factory in the Silver Legacy Hotel and Casino in Reno, Nevada. March 14th through the 19th, 2017. From the Showtime Comedy Special, “The Blue Show” and The Series “DICE” on Showtime playing “Wheels”. A Las Vegas and National headliner, Michael Parise brings you his unique take on life with his in your face style. No seat is safe when Parise is on the stage a he is known to roast the audience. The Laugh Factory is Americas number one Comedy Club with a portfolio of the greatest comedians of our time. Parise’s show is a must see.